Oball Jingle & Shake Pal is rated 5.0 out of 5 by 2. Ribbit, rattle and roll, baby! 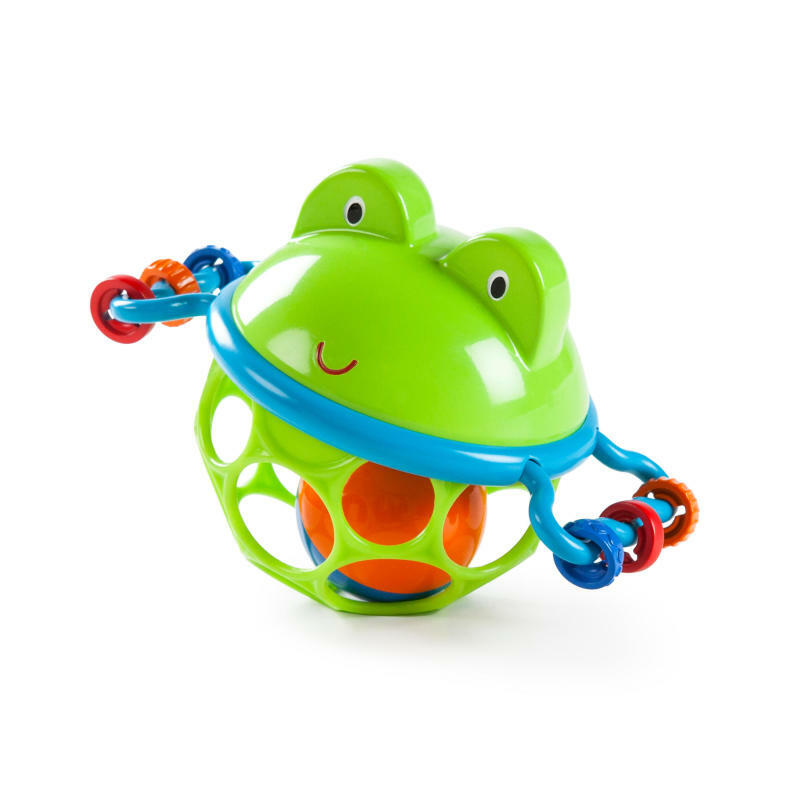 The Oball Jingle & Shake Pal is sure to bring leaps and bounds of fun to your little one. This friendly frog is made for play, even down to his tiny toes – made of colorful beads for your baby to spin! The chiming ball nestled inside will fascinate your baby, and he’ll love to shake up the noise. Designed for the tiniest of fingers to grip, the signature Oball design makes it easy for baby to take this toy wherever he goes. Dimension (in) 3.75" x 5.76" x 4.3"
Rated 5 out of 5 by Jessica G from Perfect for small hands Gave this to my 4 month old son while shopping around Walmart to keep him occupied and by the time we got to the check out he cried when I would take away so I bought for him and he plays with it daily now for over 30 minutes at a time. He love love loves it .